How to use trusts to limit your tax liability. How to protect your property against creditors in the event of bankruptcy. 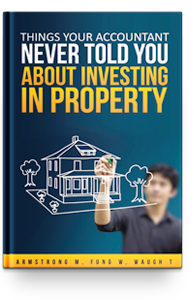 How to use your Self Managed Super Fund to fast track your journey to property investment wealth, even if you need to borrow to get started. It’s one thing to read about all the structuring strategies in a book. It’s another thing entirely to actually go through the motions of doing it all yourself. That’s why we offer free 30 minute consultations to anyone interested in working with us. Identify opportunities for wealth creation and protection. If you’d like this free assessment, please fill out the form on this page so we have as much information as possible prior to our call. There’s no risk, no obligation, no credit card required, and no blood hound sales team to chase you if you decide we’re not for you! The best time to figure out your ideal investment structure is before you invest, not after.